Try this S’mores Cheesecake in a Jar recipe for a taste of summer all year long with this simple dessert + how-to video to show just how easy it is to make! One of my favorite summertime activities is sitting around a campfire roasting s’mores. 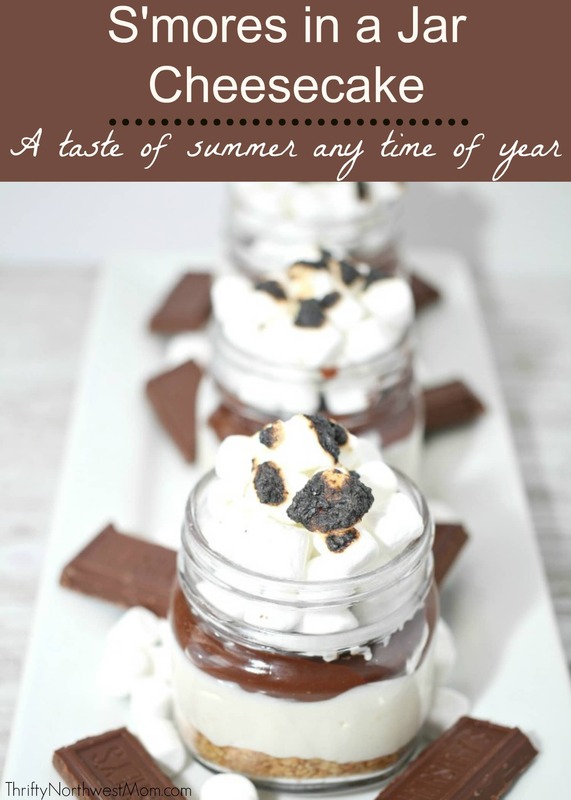 I love the combination of flavors with s’mores and try to recreate this at home throughout the year, just to bring back the memories of summertime & sitting around the campfire. 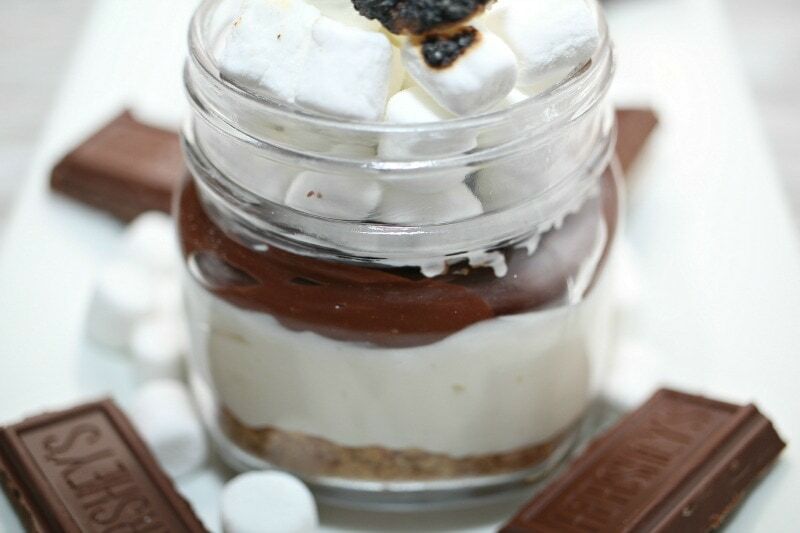 So, this S’mores Cheesecake in a Jar recipe is the perfect way to bring the taste of summer into your home at any time of year. 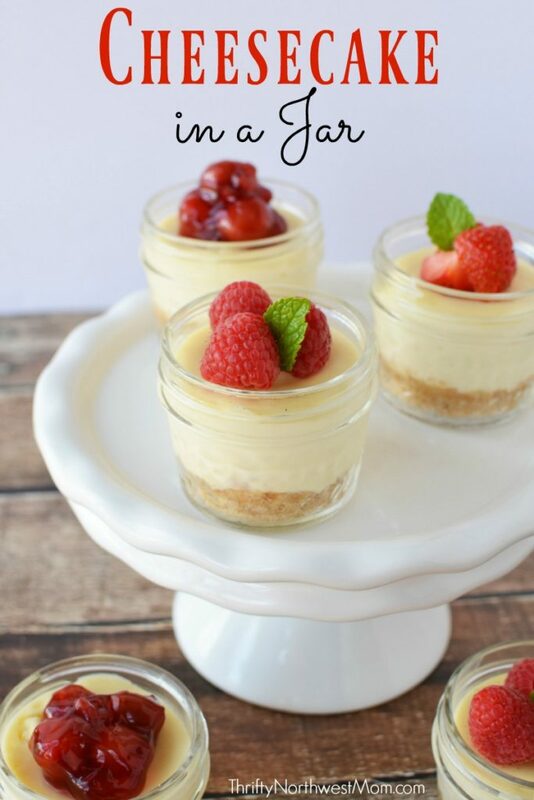 And such a fun & darling dessert to create for a get-together with friends or for a little party you are throwing! 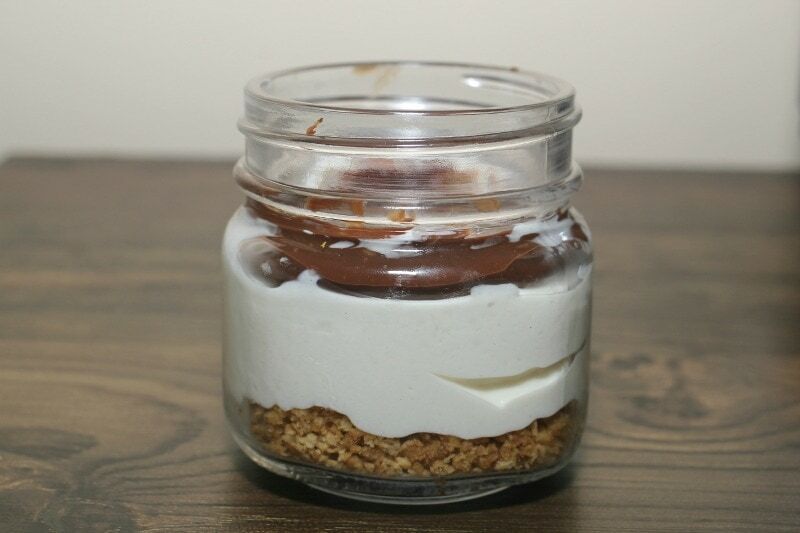 Here’s a quick how-to video to show just how easy it is to make this S’mores Cheesecake in a Jar recipe & we’ve got all the instructions below along with a printable recipe so you can start making this for your family to enjoy summertime any time of year! Finely crush your graham crackers and place them in a large mixing bowl. 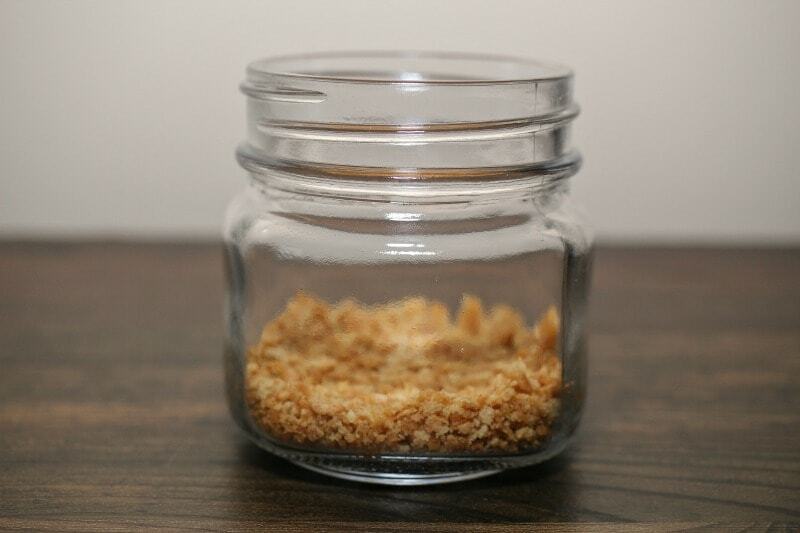 Gradually add your melted butter, one tablespoon at a time, until crumbs are damp. Do NOT make them wet and pasty. 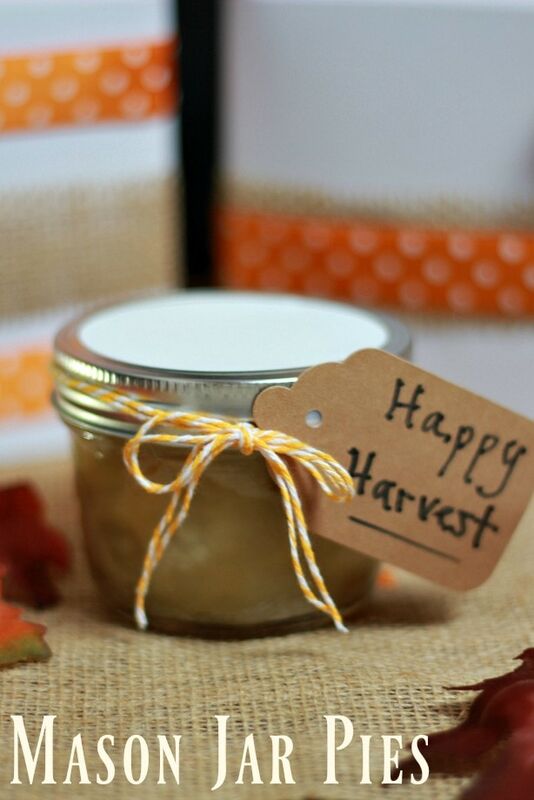 Pack about 2-3 tablespoons of your graham cracker mixture into the bottom of each jar, and set them aside. 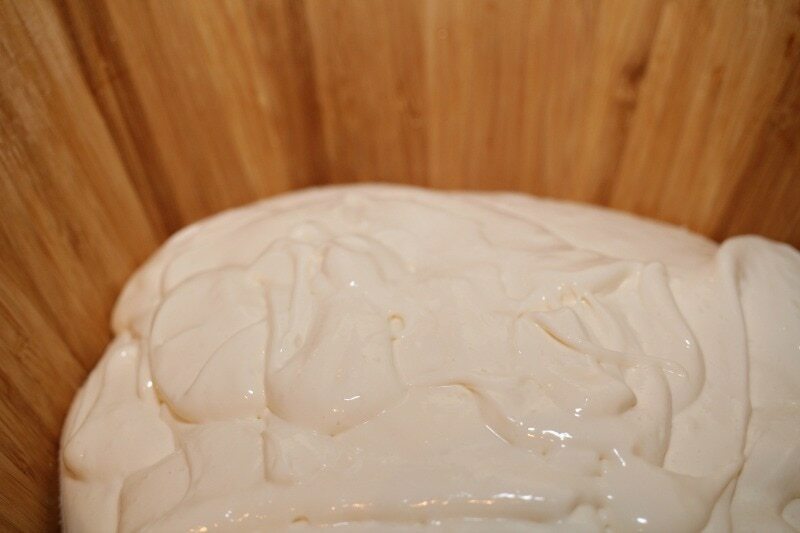 In a large mixing bowl, take your hand mixer and beat your cream cheese until fluffy and smooth. Add in your vanilla and condensed milk and mix well, then add in your lemon juice and mix again until smooth and blended. Add in your marshmallow fluff and blend again. Note: it will look slightly clumpy, that is okay, the marshmallow will set into the cheesecake. 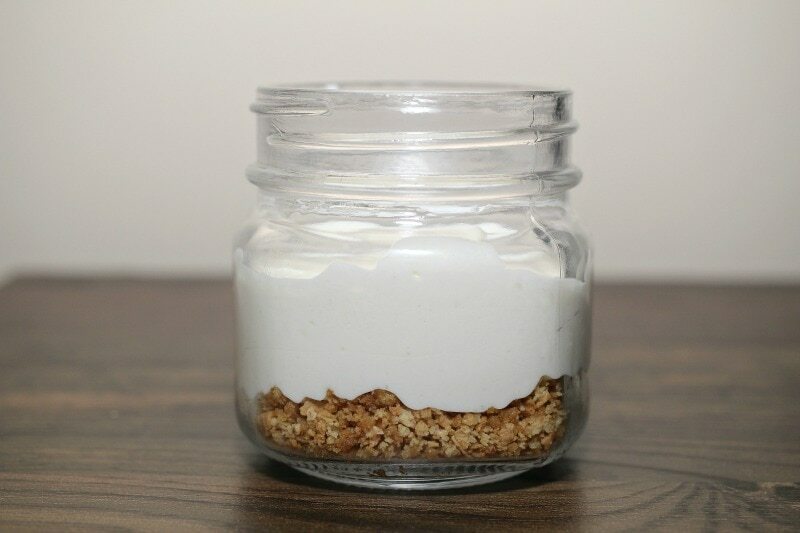 Spoon cheesecake into mason jars, over graham cracker crust and fill a little over half way. In a small pan, heat up your heavy whipping cream for about 1 minute. Remover from heat and break up your Hershey bar and add it to your pan. Divide melted chocolate evenly between all mason jars. 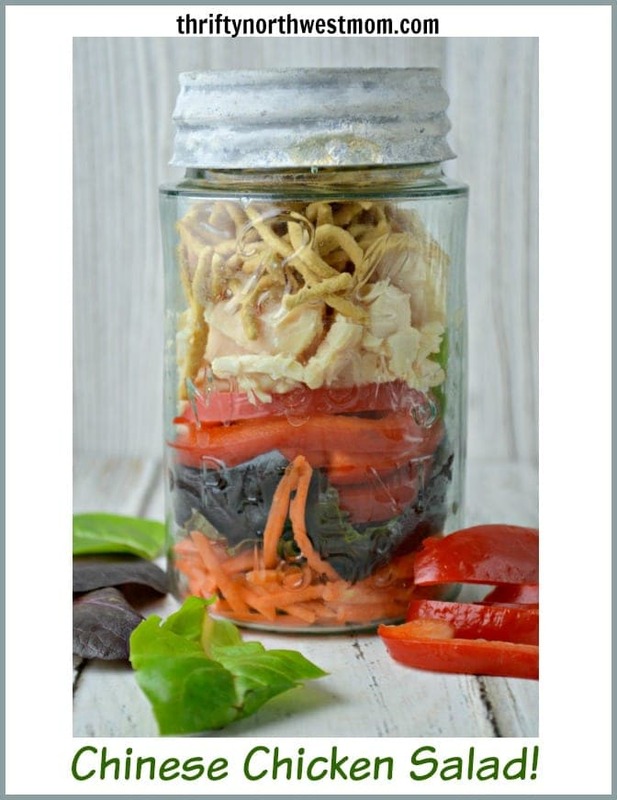 Place mason jars back in the fridge for about 30 minutes until chocolate sets. 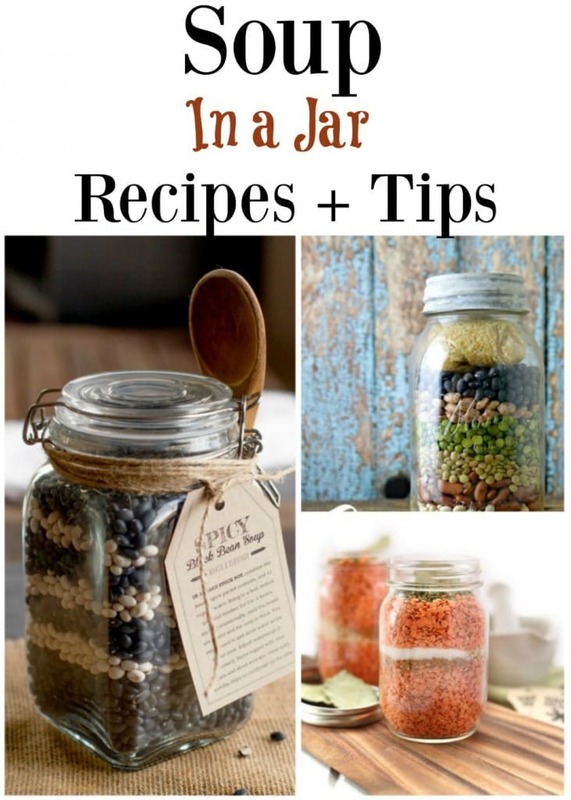 Finally, add mini marshmallows to the top of each jar. You can toast them with a flame if you choose. 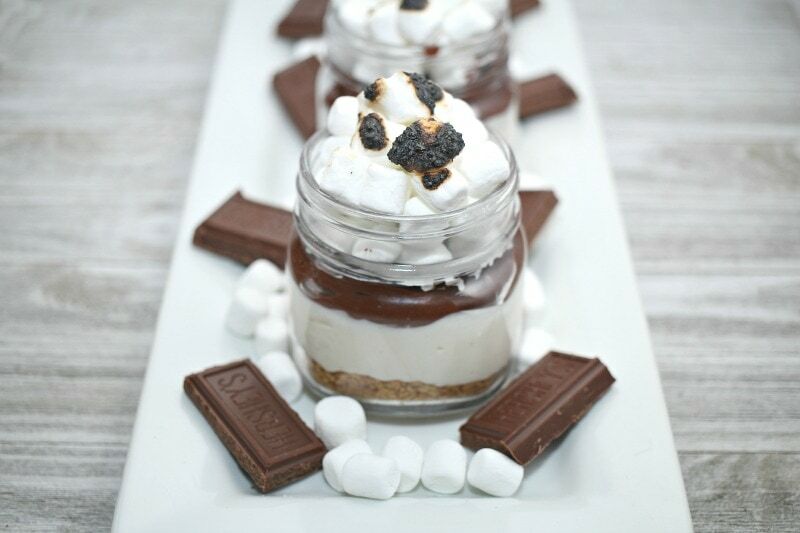 Here’s a printable version of the S’mores Cheesecake in a Jar recipe for you to print off to put in your recipe binder or notebook. 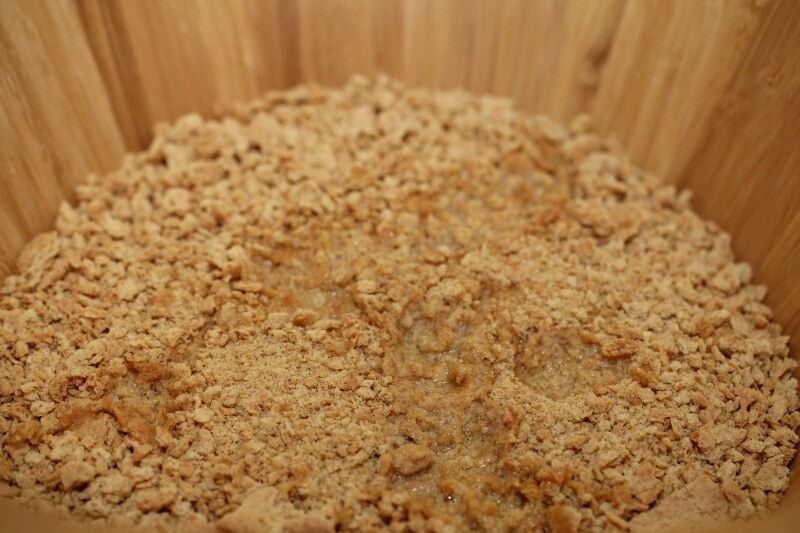 Finely grade your graham crackers and place them in a large mixing bowl.